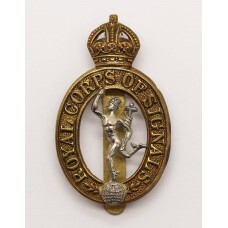 A King's Crown white metal cap badge for the 17th County of London Bn. 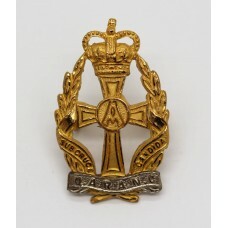 (Tower Ha..
A bi-metal cap badge for The King's (Liverpool) Regiment. 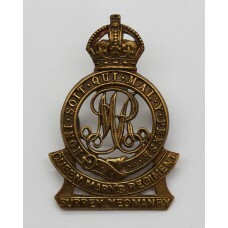 In good condition complete ..
A King's Crown brass cap badge for the Surrey Yeomanry (Queen Mary's Regiment). 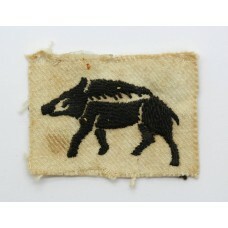 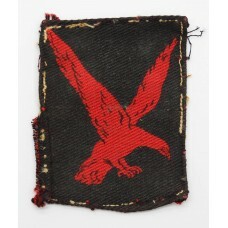 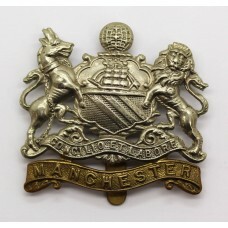 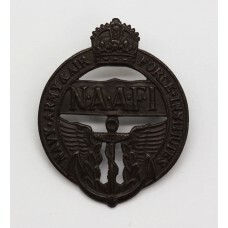 ..
A bi-metal 'Coat of Arms' cap badge for the Manchester Regiment. 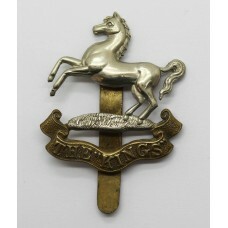 In good condition co..
A King's Crown brass cap badge for the Lincolnshire Yeomanry. 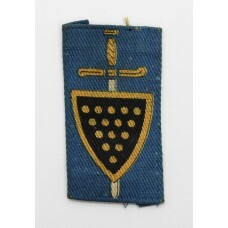 Made by Lambourne ..
A cloth printed formation sign for the Devon & Cornwall County Division/73rd..
A cloth embroidered formation sign for the Hampshire County Division. 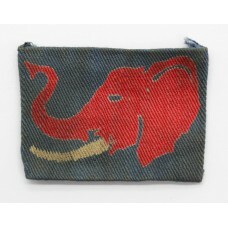 In good co..
A cloth printed formation sign for the British Troops Persia & Iraq (PAI FOR..